If you’ve had the pleasure of riding the Walt Disney Railroad you have probably heard the voice announce that it is a “Grand Circle Tour” around the Magic Kingdom at Walt Disney World. You can stay on for the complete circle, or disembark (depending where you first got on) at Main Street USA in the front of the park, Frontierland by Big Thunder and Splash Mountains, or near the Storybook Circus in Fantasyland. But if you have a car, or you want to hire a driver, there is a completely different sort of Disney Tour. Most guests are unaware of the fact that there are a number of buildings they can drive past that, while not truly “backstage”, are off the beaten path and fun to check out. The “tour” I am going to describe in this blog is completely self-guided, it is not official in any way. However all the roads are legal for you to drive on, and most true Disney geeks will get a thrill seeing the buildings I am about to describe. I recall my excitement the first time I was shown these buildings. It was years before I moved to Florida, so anything even close to “backstage” was exciting to me. I would like to share this information with readers of this blog, I hope you enjoy the “tour” as much as I first did, (and still do now). First, start out as if you are driving to the Contemporary Resort. Pass the turn where you would enter that resort and continue straight. You will pass the light where the buses turn left to go into the magic kingdom, keep going straight ahead through that light. Follow the road along until you reach a stop sign. At that point make a right. Once you turn right you will see the monorail barn. 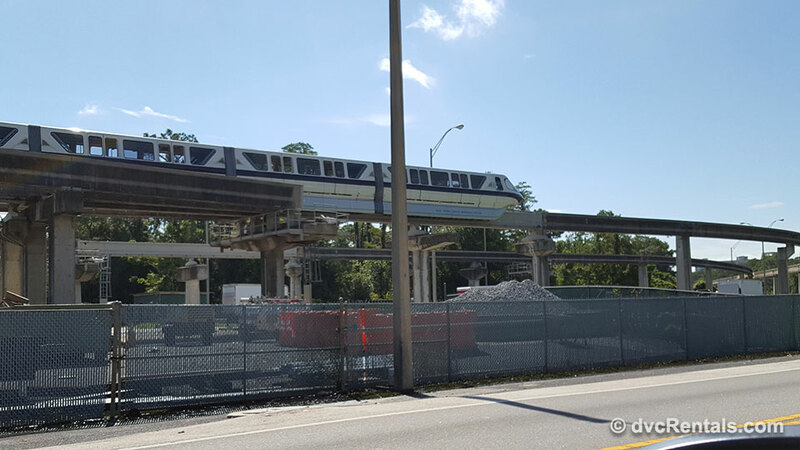 This is where the monorails “sleep” at night, and first come out in the morning. If there are any monorail repairs needed there is a repair shop here as well. If you are lucky you just might see a monorail emerging from the barn as you are passing by. The barn is huge and very impressive looking, and I always get a kick out of seeing monorails entering or leaving the barn. Continuing on, make a right at the next light. Here you will see a number of cool buildings, all which are there to keep Walt Disney World running smoothly in various ways. 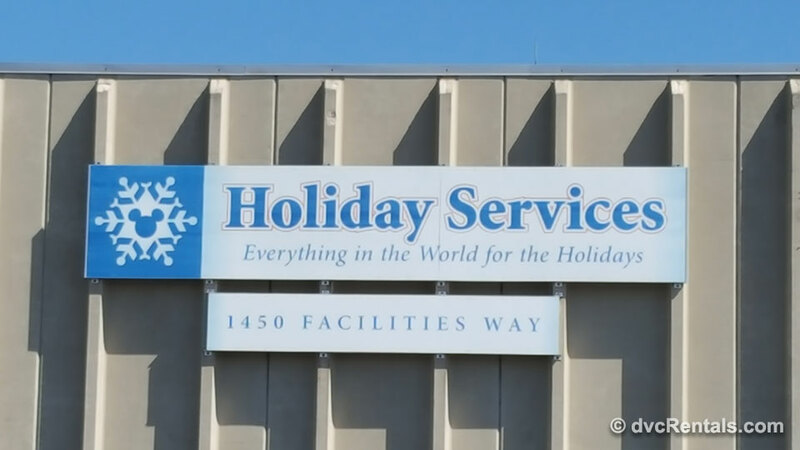 On one corner you will see “Holiday Services”. This is where the Imagineers other Cast Members work on many of the decorations you see during Christmas, Halloween, Food and Wine Festival, Flower and Garden Festival and other special occasions. Again, luck has a lot to do with what you will see. You might just see the building itself, or if the timing is right you will see decorations outside getting ready to be delivered to the parks—or being brought back once the special event has ended. If you are visiting Walt Disney World just prior to any holiday or event chances are you will see decorations before they are placed in the parks. 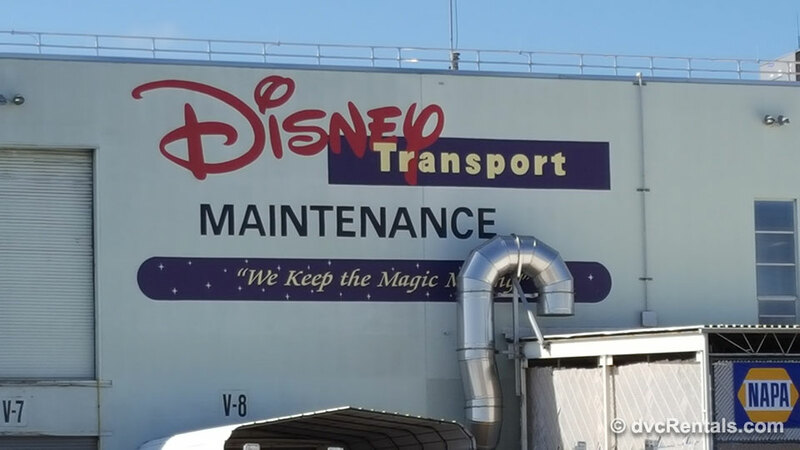 Continuing down the same street you will see Disney Transport Maintenance where, as the sign reads, “We keep the Magic Moving.” It is unlikely you will see any actual work being done, as it’s all done inside the building, but you may see a transportation vehicle being brought on or out. Just seeing the sign and imagining what is going on in there always gives me a charge. 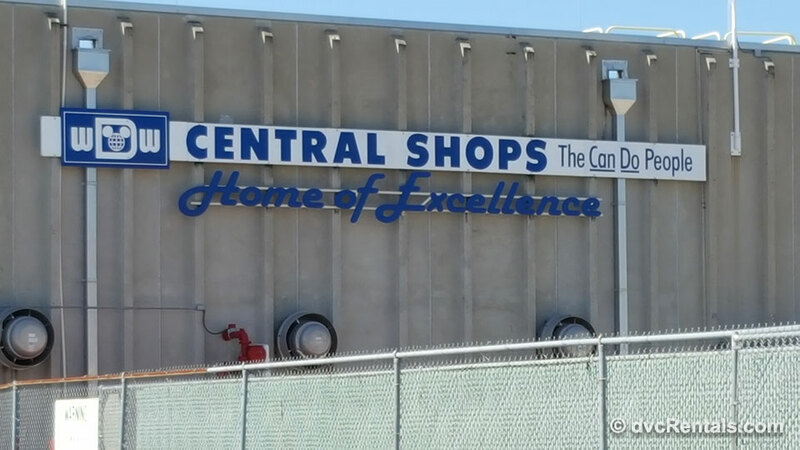 Still on that same street you will see Central Shops, the “Can Do People” building, and the “Home of Excellence”. As you can more than likely figure out from the name, this is where various Walt Disney World problems go to get fixed. As I am sure most of you know Disney prides itself on excellence and anything that is broken is “bad show.” Some things can be fixed in the area they are situated in; others must be brought to the Central Shop for repair. It depends on exactly what is wrong, how large the item is, and what tools are needed to make the repair. Continuing down you will see “Textile Services, Costume Processing” at the end of the street. As you can imagine, the thousands of Cast Members who work at Walt Disney World need clean costumes that are in good shape. 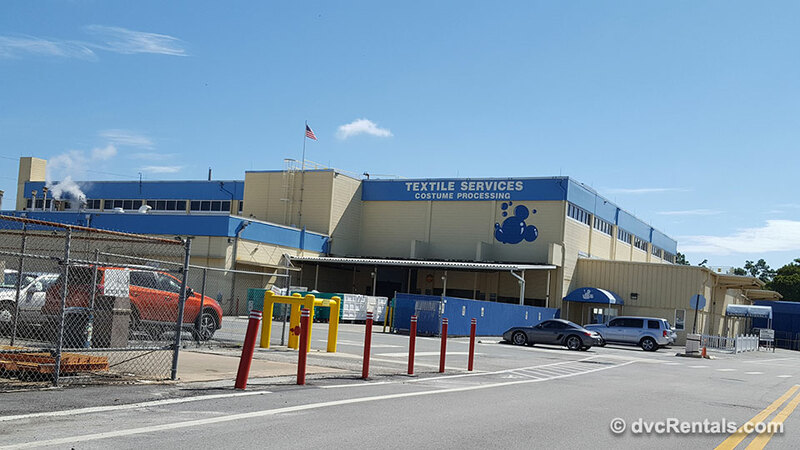 While the Cast Members themselves pick up their costumes at various locations throughout Walt Disney World (usually close to where their job is), this building is the one where costumes are generated from, cleaned, and repaired. After you have seen Disney University go back to where you entered and turn right up the street with the buildings I discussed above. When you get to the light at the end of that street make a left. If you look straight ahead you can see the back of the Magic Kingdom! 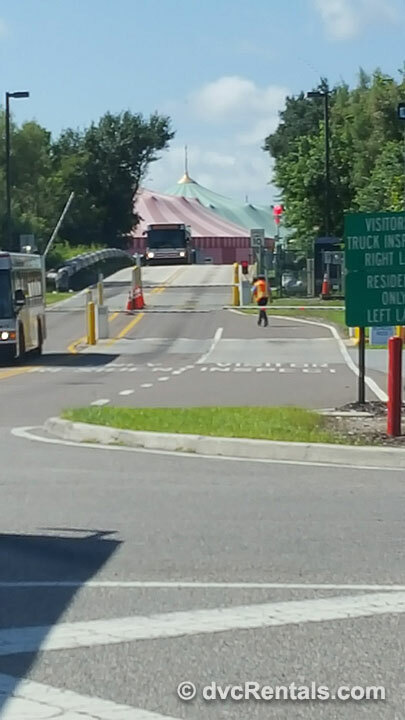 The Storybook Circus Tents will be clearly visible at that point. As you approach that area there is an option to turn right. Take that right and follow along the road. In a short while you will see the road forks. If you take the right-hand fork you will see the Reedy Creek Fire House. 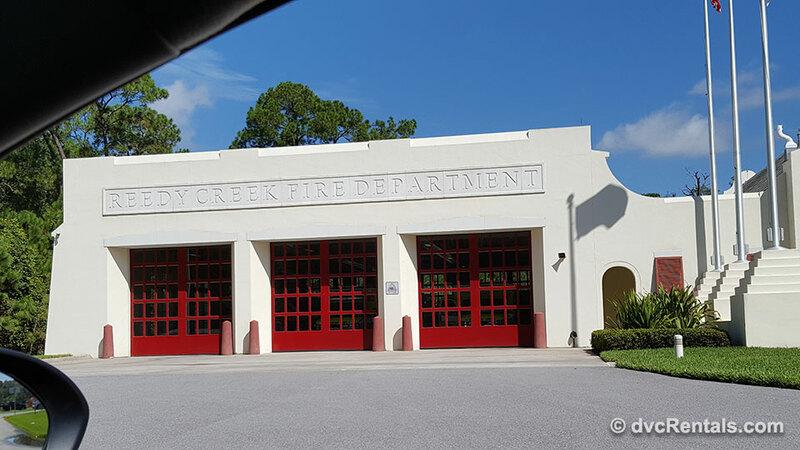 The Fire House is a real fire station used for housing the fire trucks and equipment needed for emergencies at Walt Disney World. But that’s not all! 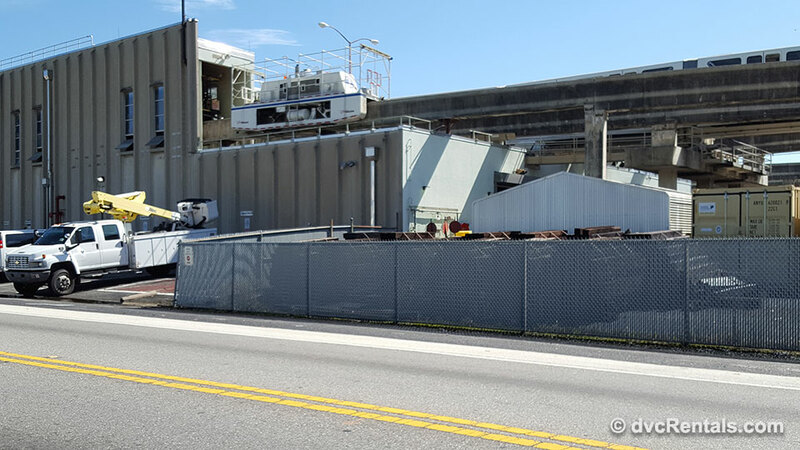 This is the area where the Magic Kingdom Fireworks originate. In fact, at certain times of the night the road there is closed, because they don’t want anyone nearby during fireworks shows. There is no safe place to pull off the road, I am NOT advocating stopping to watch fireworks from here. In fact you will more than likely be told to move if you do attempt this. 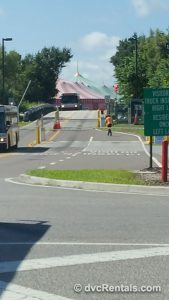 But it’s cool to see the place the fireworks come from, and during the day when the road is open I have never been stopped when I drove in to look at the firehouse. Well we have come to the end of our tour. When you leave the firehouse area make a right. 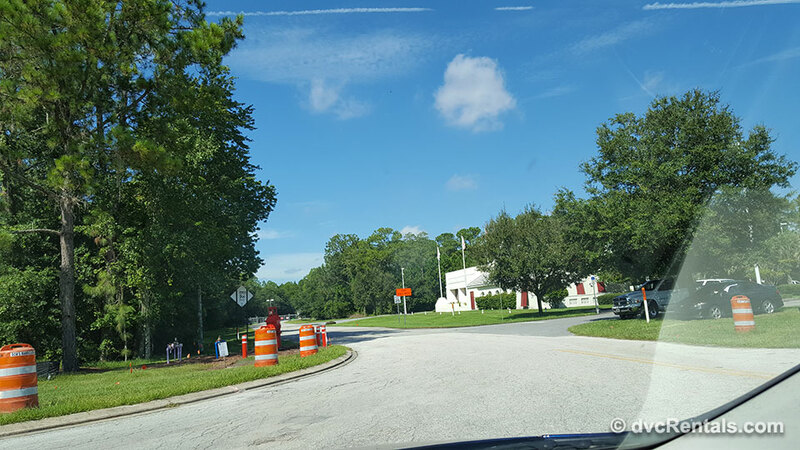 Soon the road will lead you past the Grand Floridian, and if you continue along you will end up heading back towards the “regular” areas of Walt Disney World and I-4. It’s a fun drive and a chance to see things most guests are not aware exist; much less know they can get a look at. Please be careful, most of these places do not have safe areas to pull over. If you want to take your own pictures I strongly suggest you go with a passenger so he or she can take the photos as you are driving past. 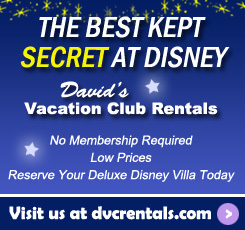 If you love all things Walt Disney World, this tour will really give you a charge, have fun! 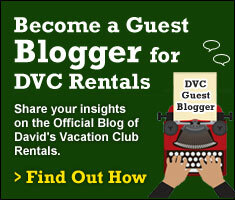 2 thoughts on "A Different “Grand Circle Tour”"